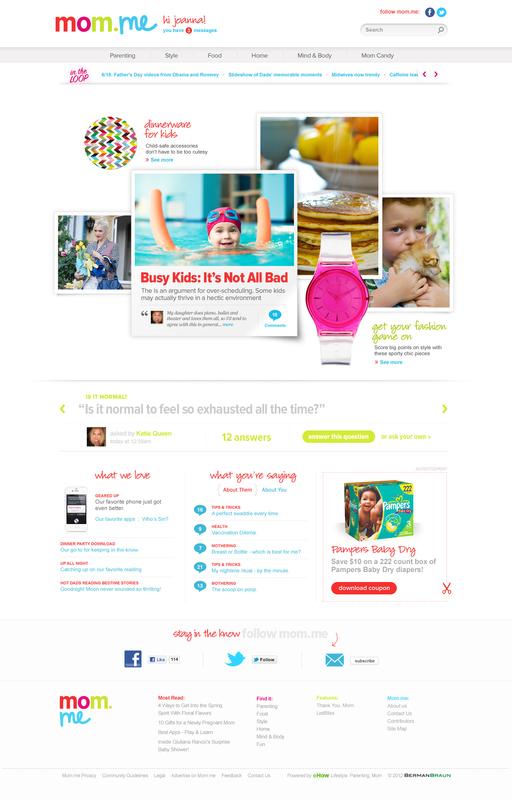 In an interesting new entry into the highly competitive online parenting space, Santa Monica, Calif.-based BermanBraun is trying to use a mix of high-brow design with an ethos of casual hip and a simple content focus for a new site called Mom.me. It has a lot of competition, of course, including from Disney, which recently acquired the hipster parenting blog platform, Babble Media. 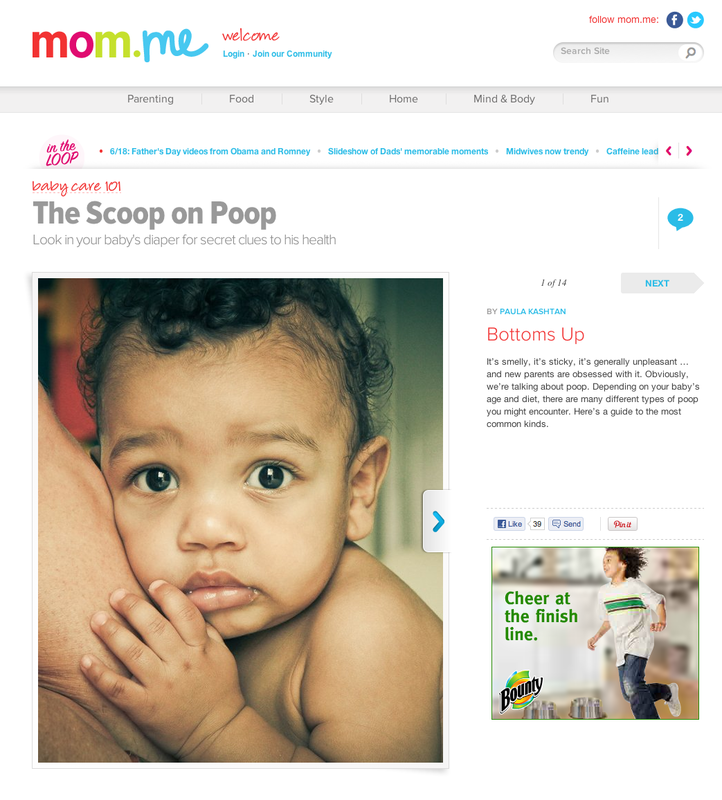 And there are many others, too, such as Johnson & Johnson-owned BabyCenter, NBC’s iVillage, Parents.com and CafeMom. But the Mom.me approach is trying to differentiate with a variety of social and other tools, including offering personalized ways to get only curated content based on the age group of a child. 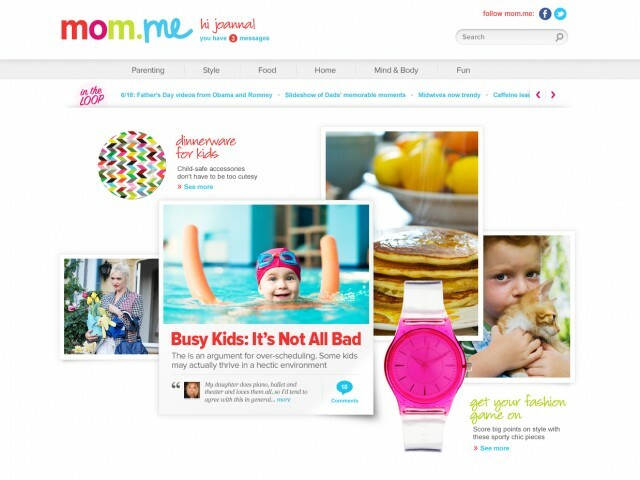 Mom.me is also the first big site launched on the Whiskey Media publishing platform, which BermanBraun acquired in March. And it is the first time the multimedia production company is not using a big portal connection for its distribution, making it BermanBraun’s first wholly owned and operated site. The company has previously worked with Microsoft’s MSN on the celebrity site, Wonderwall, as well as a women’s style site called Glo. And it also inked a deal with AOL for sites on pets, men and weather. But, this time, it has created the site as part of an advertising partnership deal with Starcom MediaVest Group and a content and distribution arrangement with Demand Media. Procter & Gamble is the founding advertiser for Mom.me.